Temperatures cooling down, but the market is heating up! 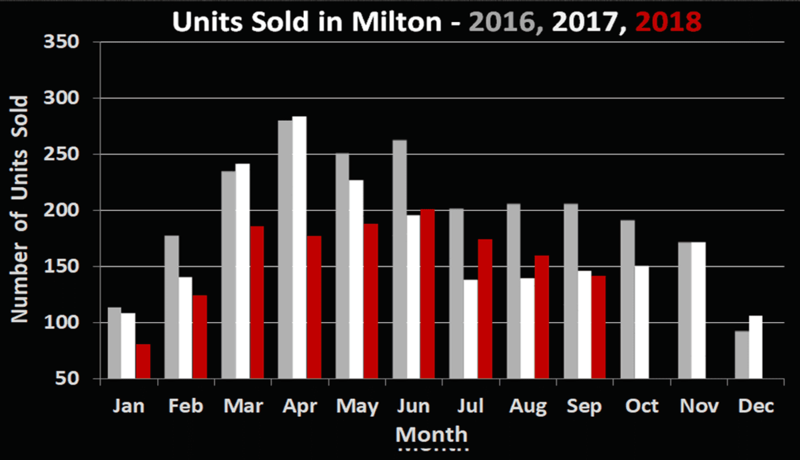 The 142 residential sales here in Milton for September 2018 represent a 3.5% decrease in volume when compared to September 2017. The average sale price of $691,400 however is up a healthy 8.6% when compared to the figure a year ago. This is the largest year-over-year gain seen yet this year for price. With mortgage rates starting to creep up as well due to current economic conditions, buyers are returning to the market in hopes of locking in the current affordability. We are even starting to see investors come back to the market as more people are seeing the appeal in rental properties with the recent increases in rent prices. We have high hopes for a strong fall and winter market. 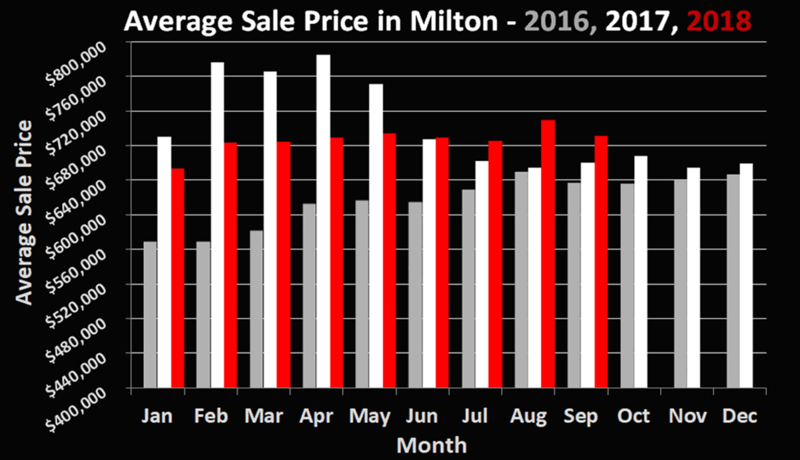 The Milton real estate market is currently at a comfortable point of balance. With inventory being roughly equivalent to 2.5 months supply, buyers have choice and sellers are able to sell their properties in an average of 3 weeks on the market. It’s still true that the market for properties valued under $700-750,000 is much more active in Milton. If you’re looking to upgrade from a townhouse or semi into a larger detached home, it is currently a great time to do so. There is also a shortage of rentals available in almost all areas but the very newest neighbourhood. If you’re thinking of an investment property, or a property with a second living space you can rent out, it is proving to be quite easy to find quality tenants.